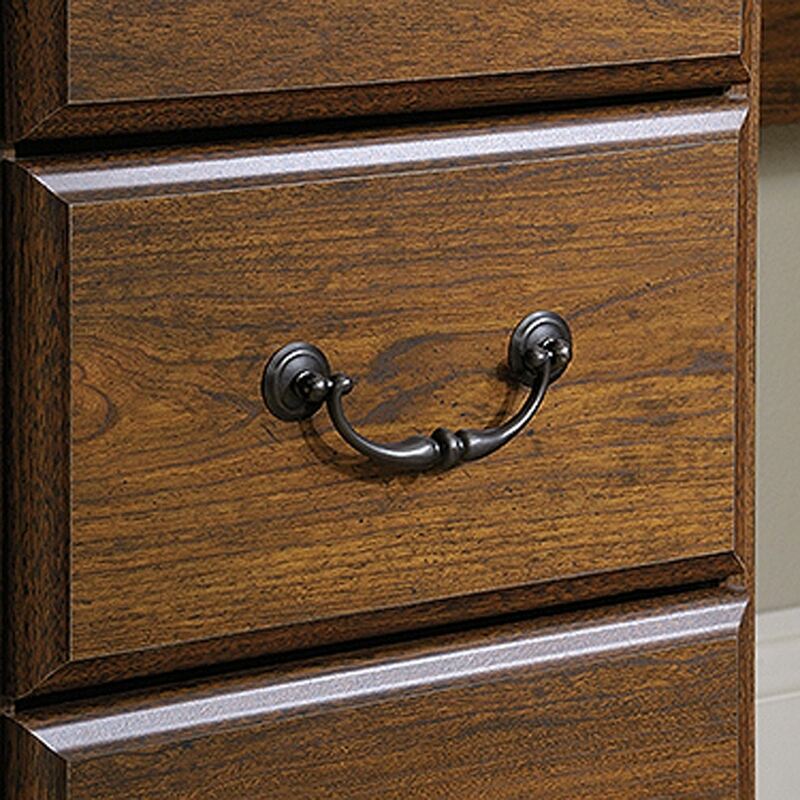 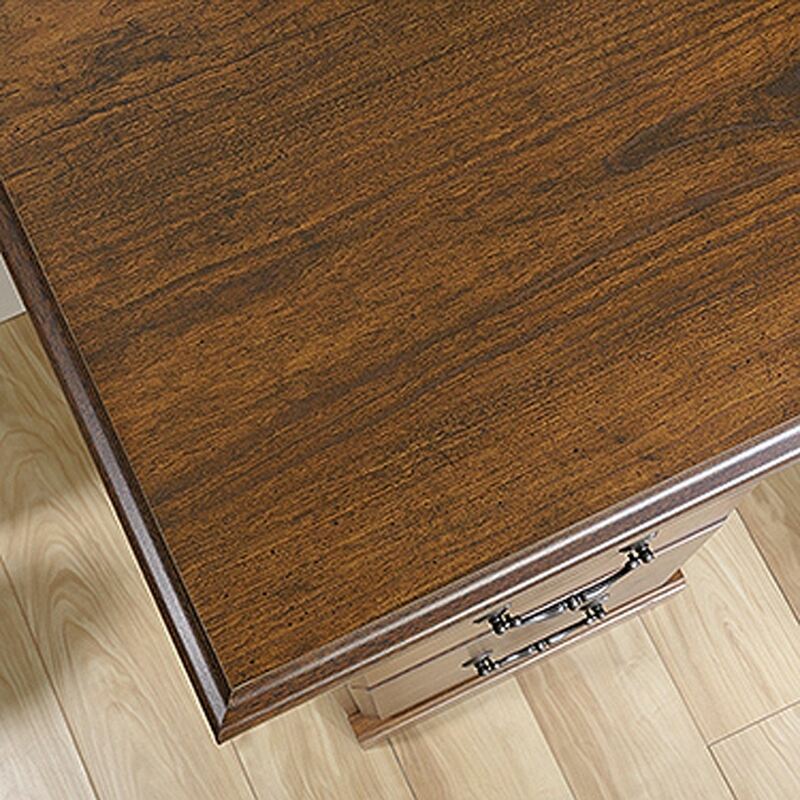 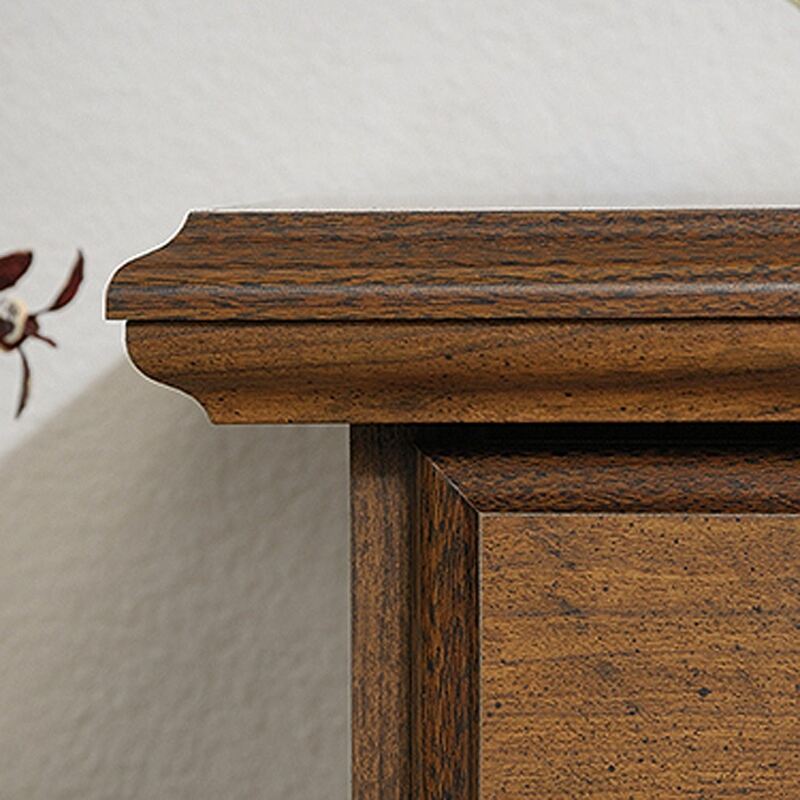 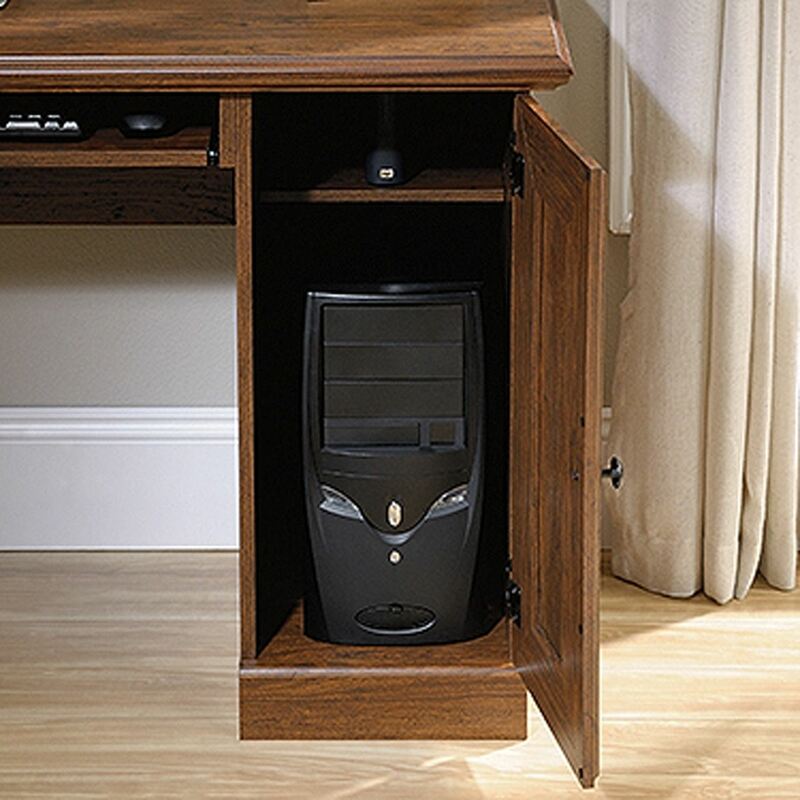 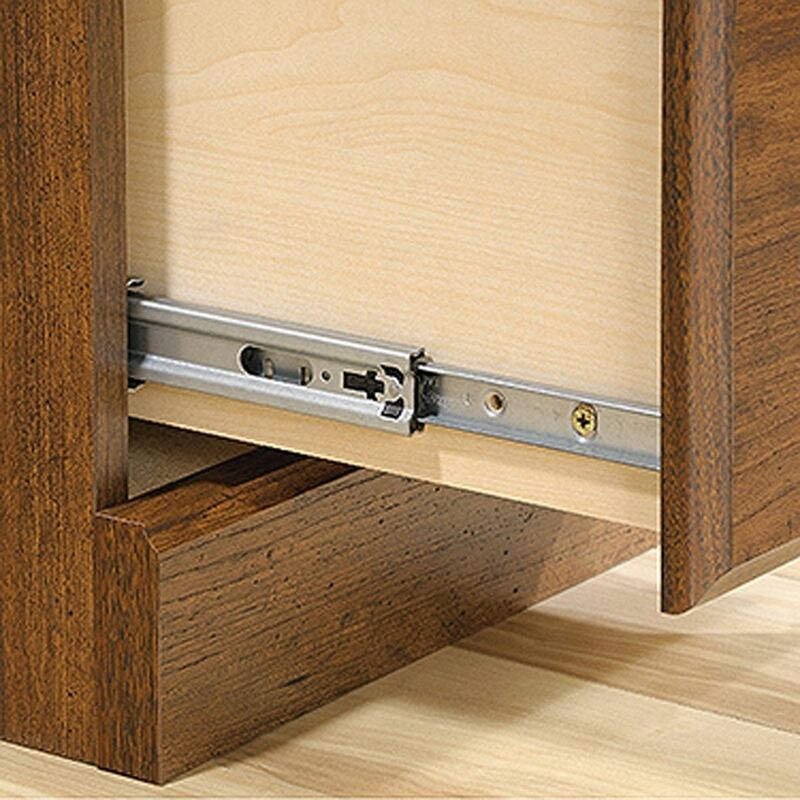 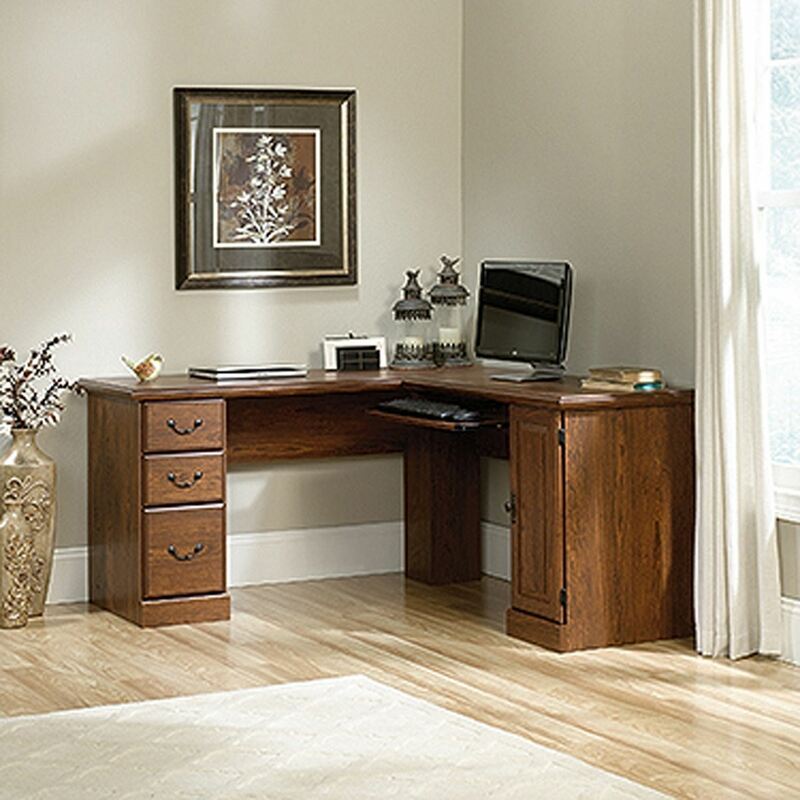 Orchard Hills Corner Computer Desk Milled Cherry By Sauder. 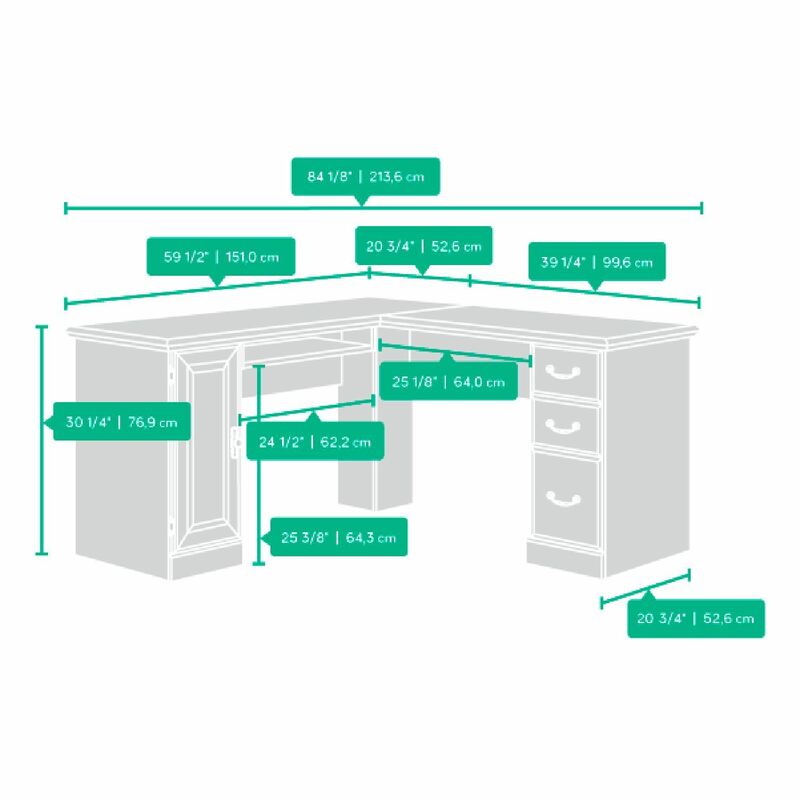 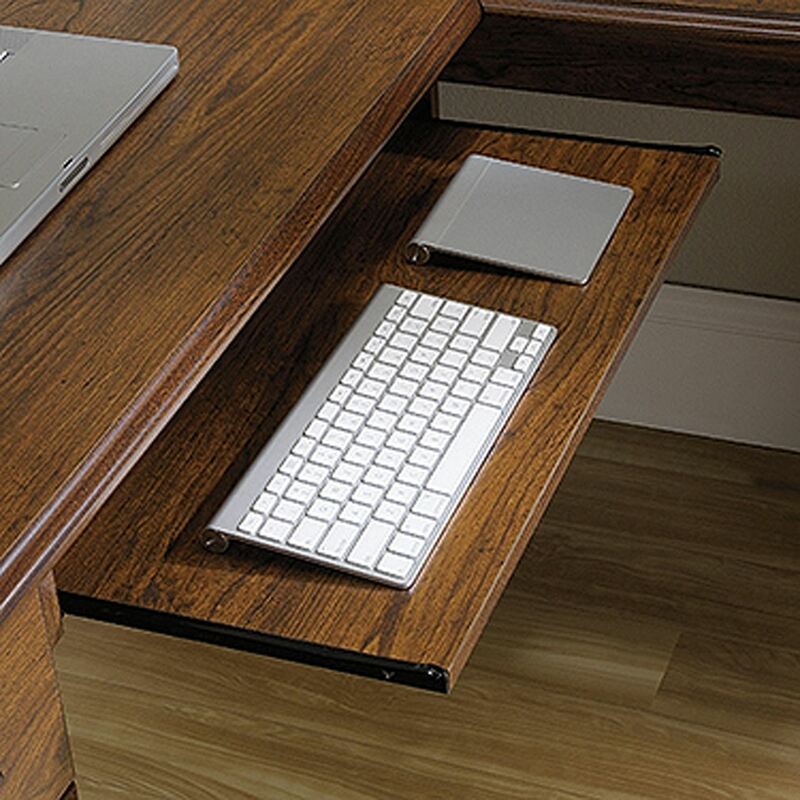 Tuck this L shaped desk into the corner of your office to make the most of the space you have. 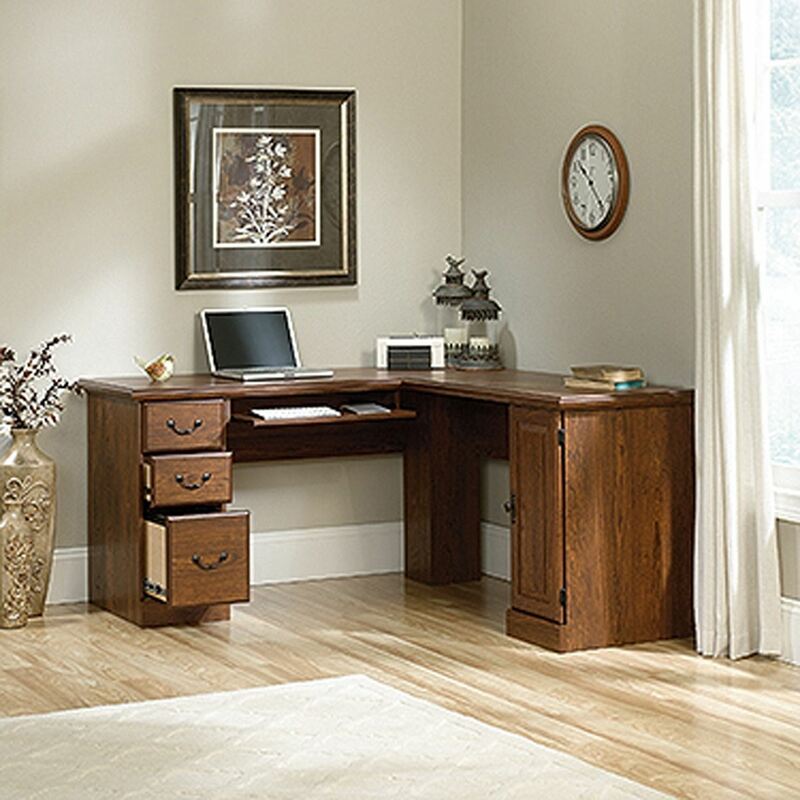 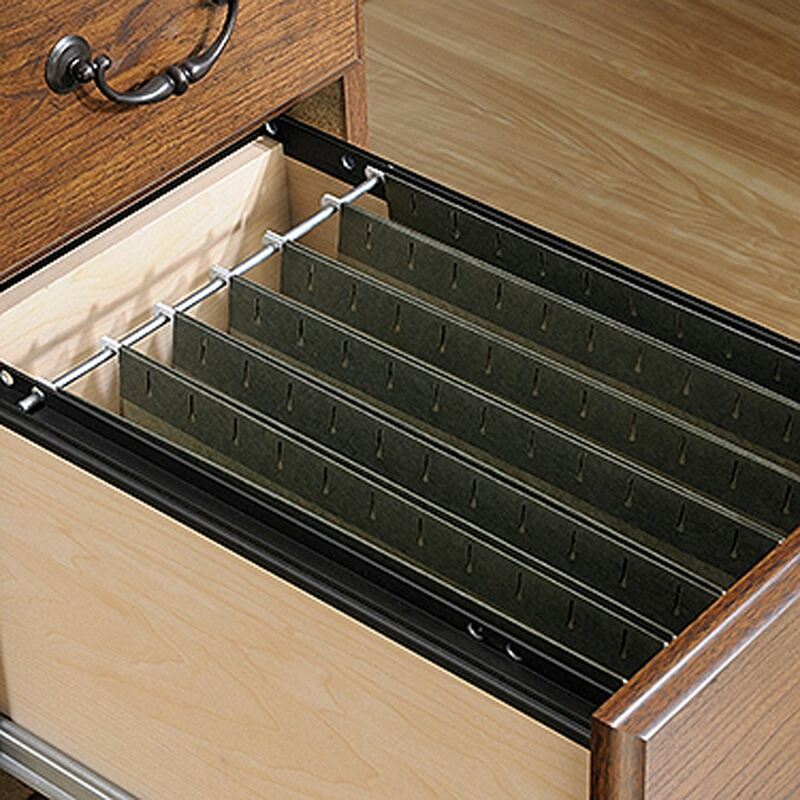 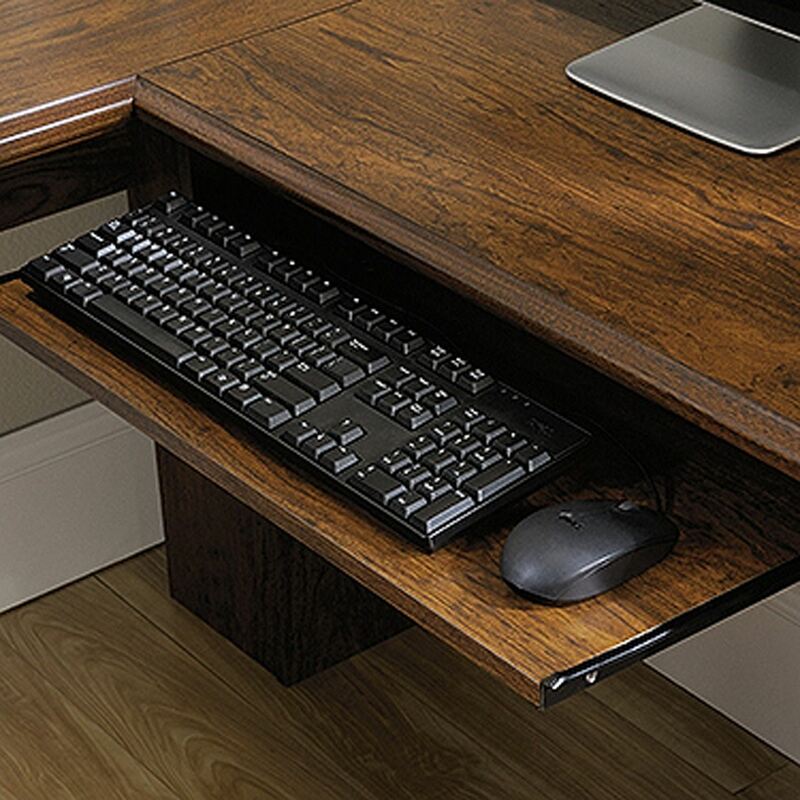 This corner office desk features plenty of surface space, a slide-out keyboard and three drawers below.